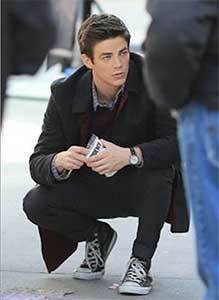 Grant Gustin wears black high top Converse “Chuck Taylor” All Stars in the series. The gang gets ready for a night of crime fighting. It’s no surprise that the fastest man on earth is also one of the trendiest. Rising alongside a new genre of superhero, Barry Allen a.k.a. The Flash stands with heroes like Spiderman and the Arrow as a new breed of modern aged, half geeky half charming superheroes. Dedicated to protecting their cities and the ones they love, these young men combine their vast knowledge with fantastic abilities to stop crime, and as a bonus, look good doing it. Barry Allen (Grant Gustin) is dapper and charming, easy to fall for on screen, and it doesn’t help that he has a slightly geeky side to his complex personality. And to top it all off, he dresses the part, either in his slick, dark red Flash outfit, or in his street clothes, which are always paired with crisp black chucks. Barry looks dapper while pondering evidence; Barry and Iris share a kiss. 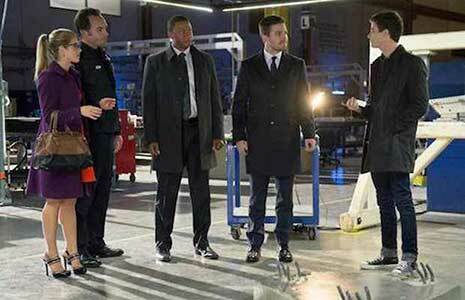 In the CW television series, which sometimes overlaps with another great superhero show “Arrow,” Barry is a forensic scientist by day and a crime-fighting vigilante by night. He developed his super speed after being covered in unknown chemicals and stuck by lightning. Aside from his speed, he also has the power of rapid cell regeneration, allowing him to heal at a superhuman rate. Working hard to keep his city safe in both his day job and his nighttime adventures, he is a perfect example of a young, modern super hero. 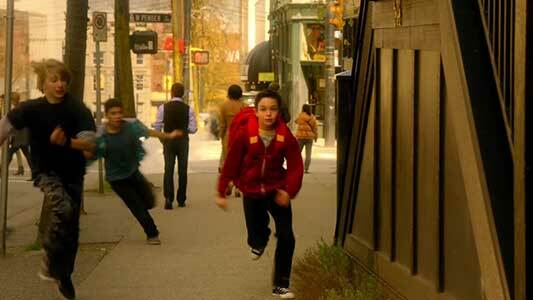 Barry as a kid running. 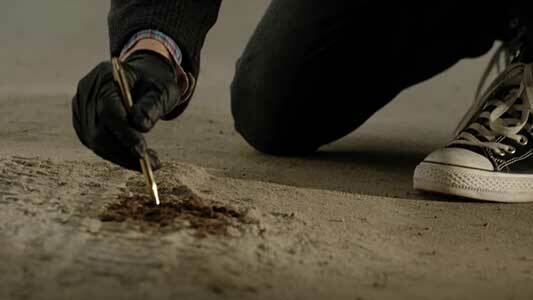 The show is a perfect balance of humor and drama, crime and romance. Barry is cute and compassionate, but turns into a fast-talking, fast-moving vigilante who will do anything to stop those with evil intentions. 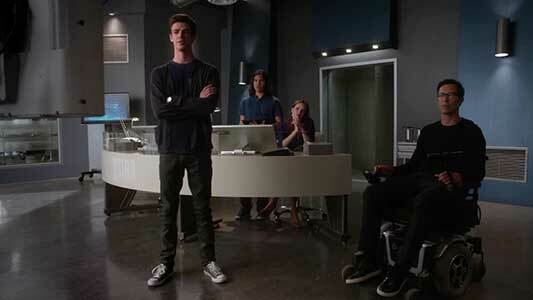 Furthermore, Barry’s budding relationship with Iris is comically sweet and gives the show a softer side amidst all the blaring sirens, fighting and plotting. “The Flash” is a strong and compelling show, one in a long line of new aged superhero narratives, each of which is witty, edgy, and sharp. It’s no wonder all the heroes wear chucks! 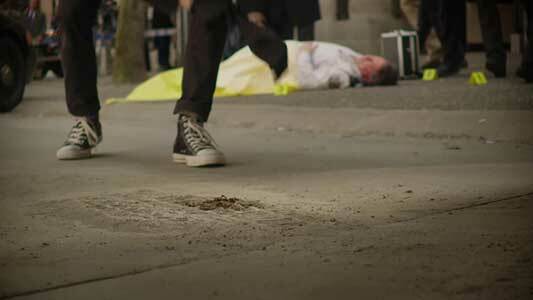 Barry wears black high top chucks in the series. 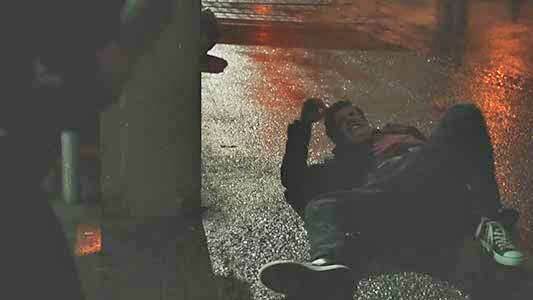 Barry makes a dramatic landing. 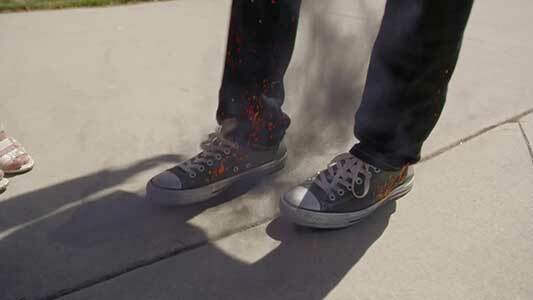 His chucks can handle the heat! 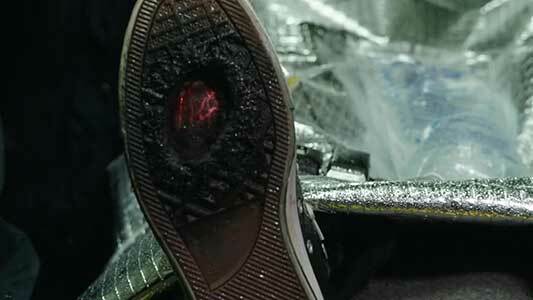 The fire burns a hole in the sole of his right sneaker.